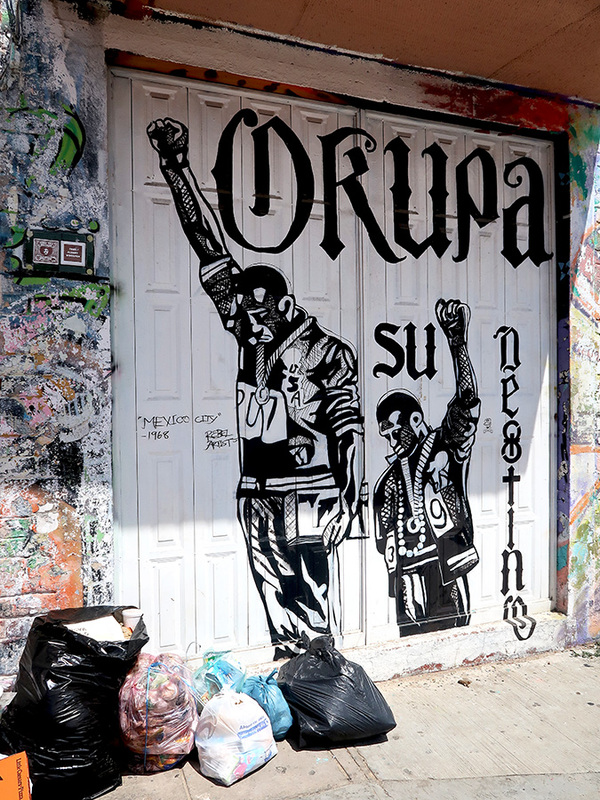 Yesterday, feeling angry, horrified, and ashamed and, with less than a week’s notice, 50+ citizens of the USA gathered on the sidewalk below the U.S. Consular Agency office in Oaxaca to protest the inhumane, unconscionable, and illegal actions by “our” government regarding refugees seeking asylum. These rights are affirmed, among other civil, political, economic, social and cultural rights, for all persons, citizens and non-citizens alike, in the Universal Declaration of Human Rights, the International Covenant on Civil and Political Rights, and the International Covenant on Economic, Social and Cultural Rights which together make up the International Bill of Human Rights. 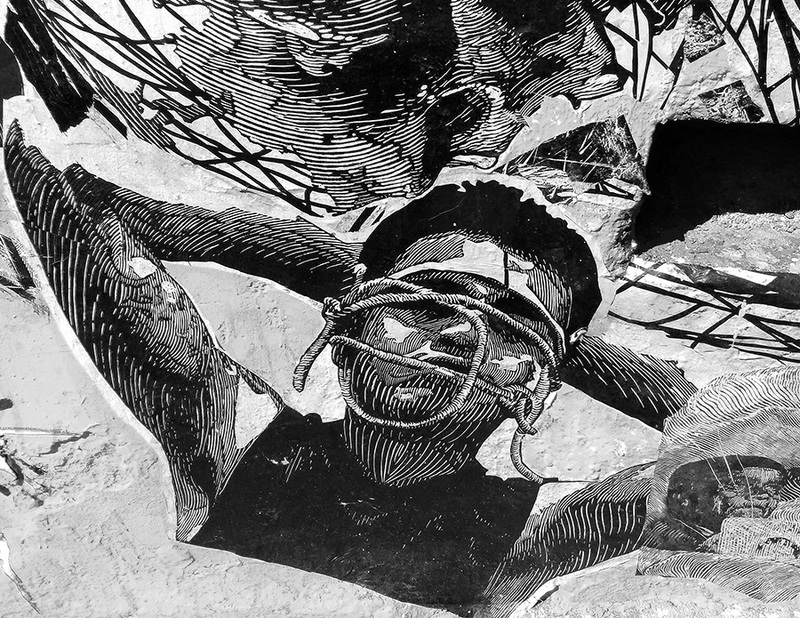 (d) “Everyone has the right to freedom of movement and residence within the borders of each State” (Universal Declaration of Human rights, article 13; International Covenant on Civil and Political Rights, article 12). From the recent article published in ProPublica, I’ve Been Reporting on MS-13 for a Year. Here Are the 5 Things Trump Gets Most Wrong. 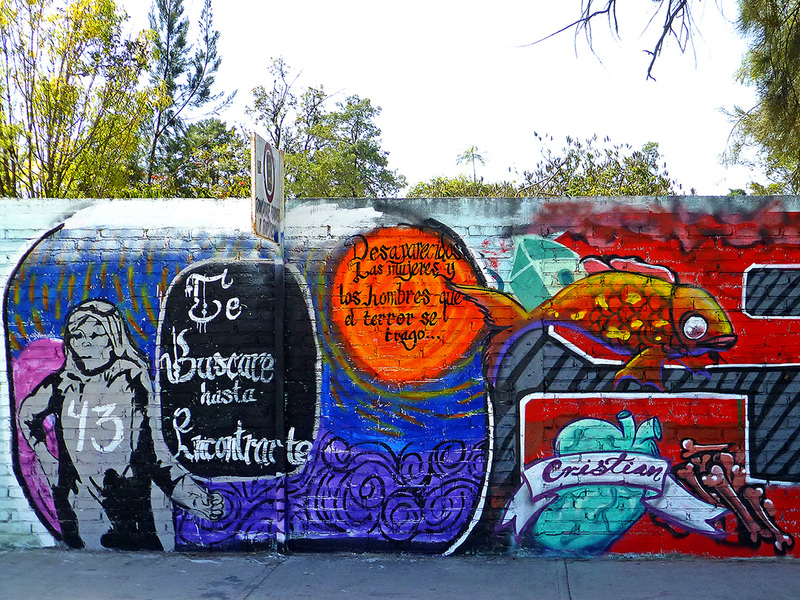 I can’t believe it has been three years since 43 student teachers went missing one night in Iguala, Guerrero. And, I can’t believe the key questions remain. Who is responsible? What happened that night? Where are they? Why are there still no answers? 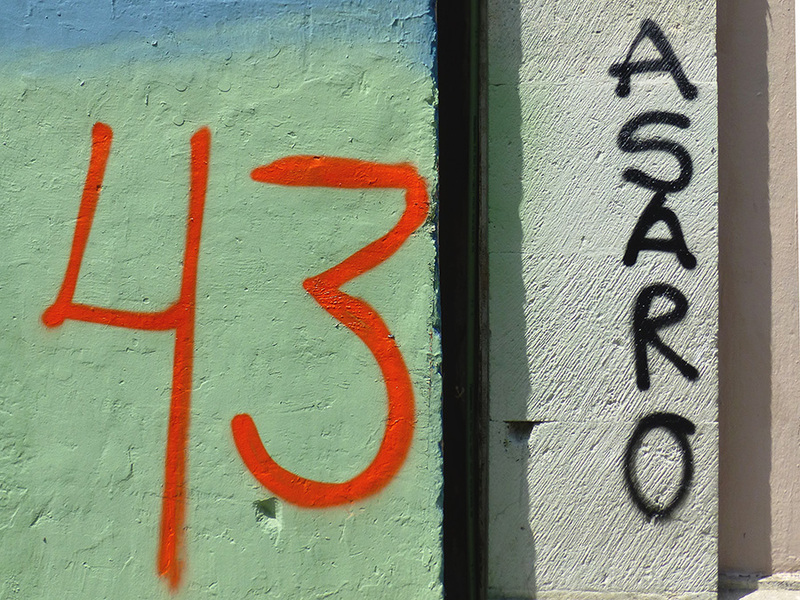 How can 43 human beings be disappeared so completely? When will the truth be revealed? 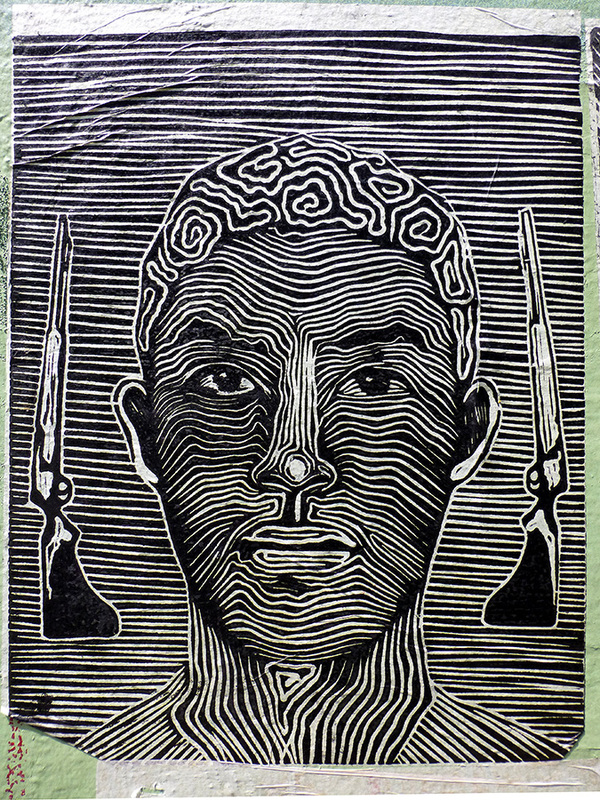 In the midst of our current tragedies, let us not forget the 43 normalistas from Escuela Normal Rural Raúl Isidro Burgos, Ayotzinapa, Guerrero. Three years without answers must seem like an eternity to their families…. 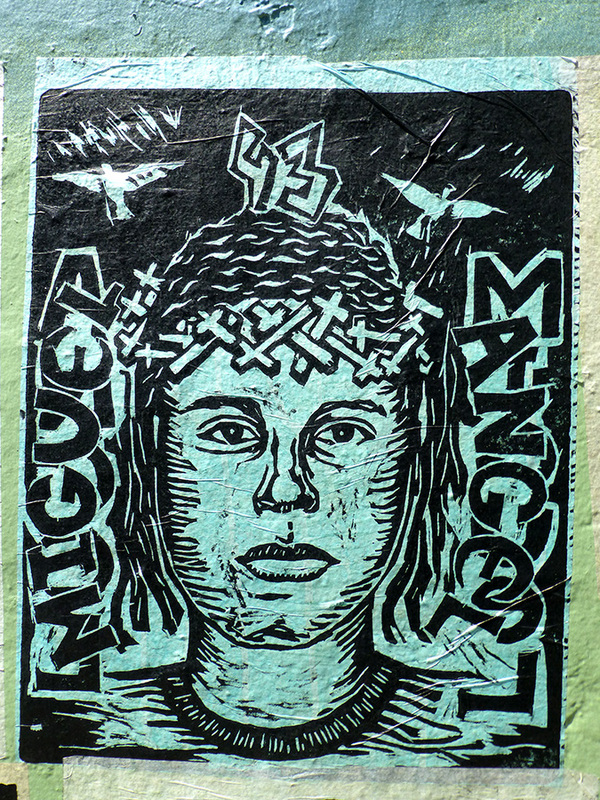 It’s been two years since that tragic night in Iguala, Guerrero when busloads of students (normalistas) from the Ayotzinapa Rural Teachers College were violently attacked. 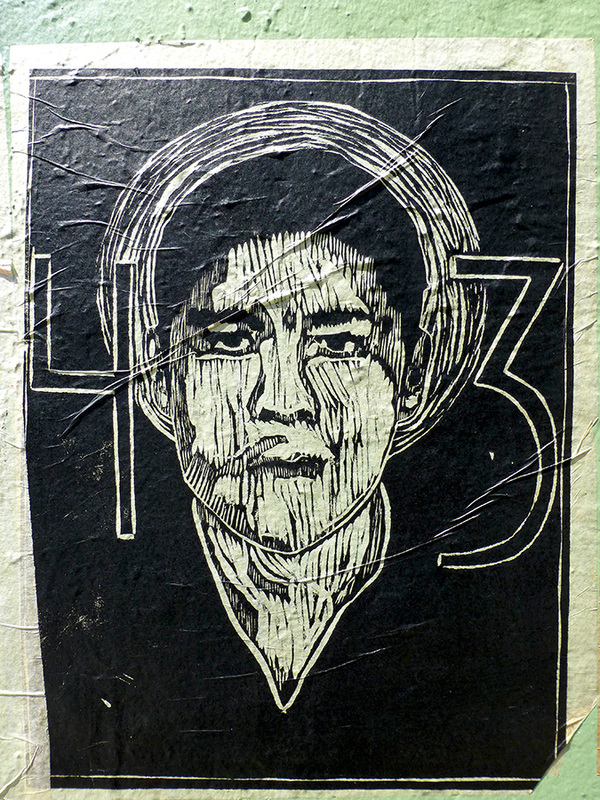 Six students were killed, 25 were injured, and 43 disappeared. It’s been two years of agony for families and friends. 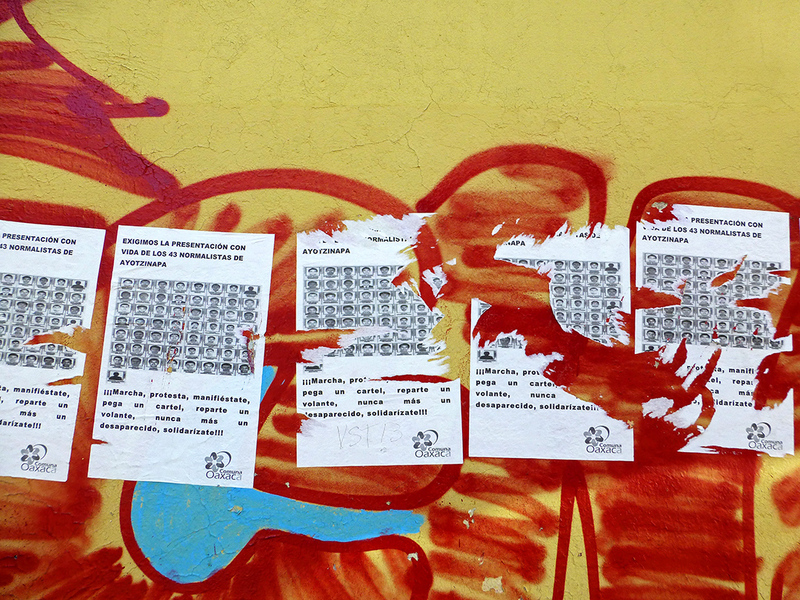 It’s been two years of questions and discredited answers for the people of Mexico. And, it’s been two years of artists around the world doing their part to not let us forget. 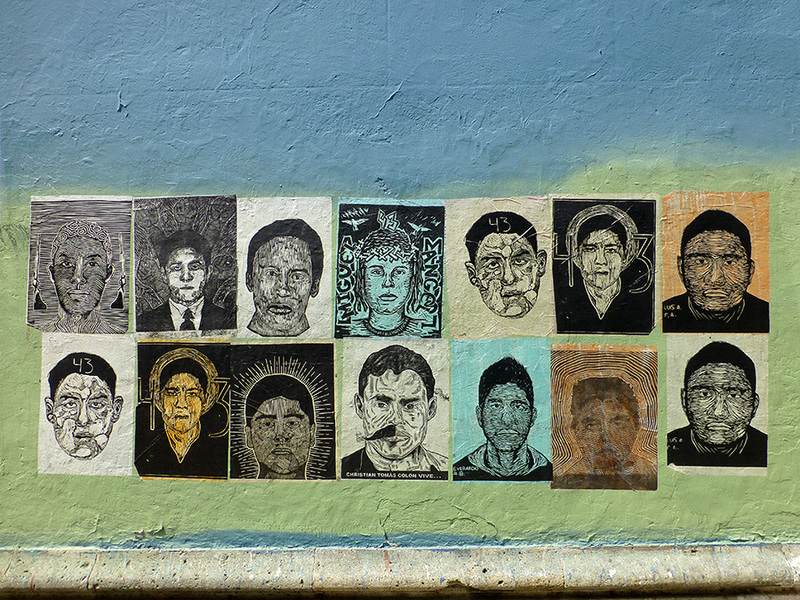 Images of some of the missing by Asamblea de Artistas Revolucionarios de Oaxaca (ASARO) seen June 18, 2016 on Av. 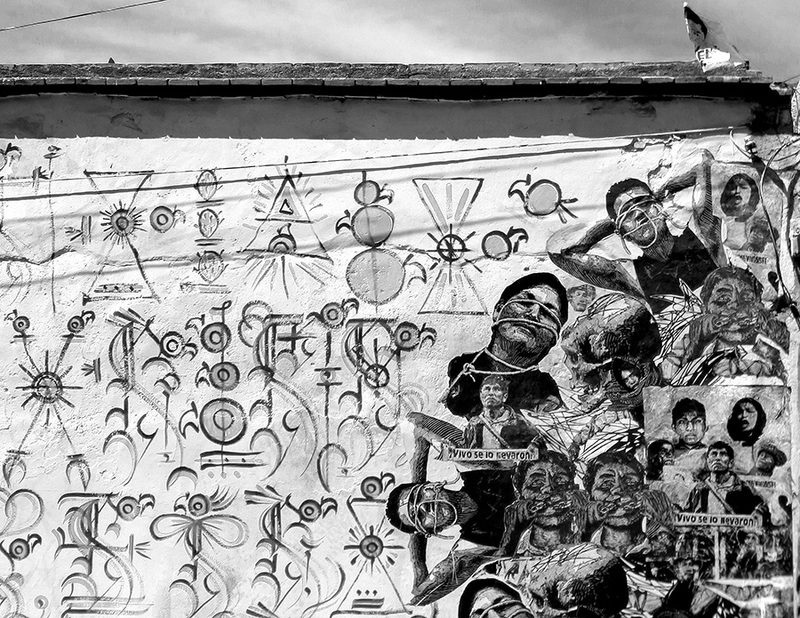 Morelos in Oaxaca, including 18-year old Cristian Tomás Colón Garnica from Tlacolula de Matamoros, Oaxaca. 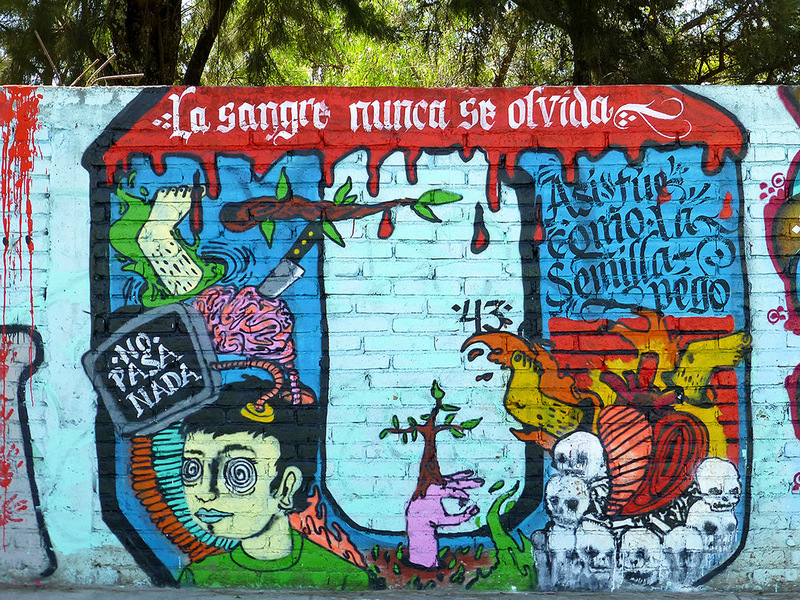 It has been one year since 43 normalistas (student teachers) from the Escuela Normal Rural Raúl Isidro Burgos in Ayotzinapa, Guerrero were disappeared and several of their fellow students were murdered. They are still missing and the truth of what happened that horrifying night has yet to be revealed. 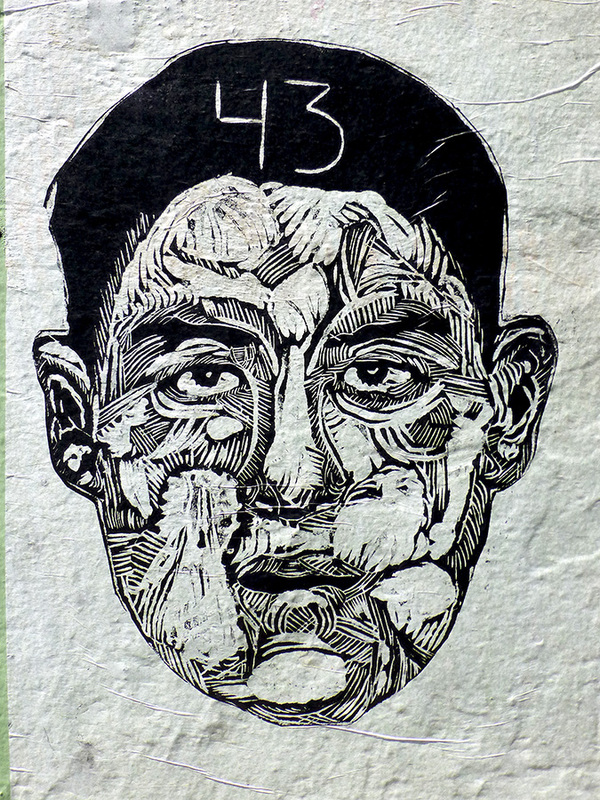 The question remains, What happened to the 43 Ayotzinapa students? 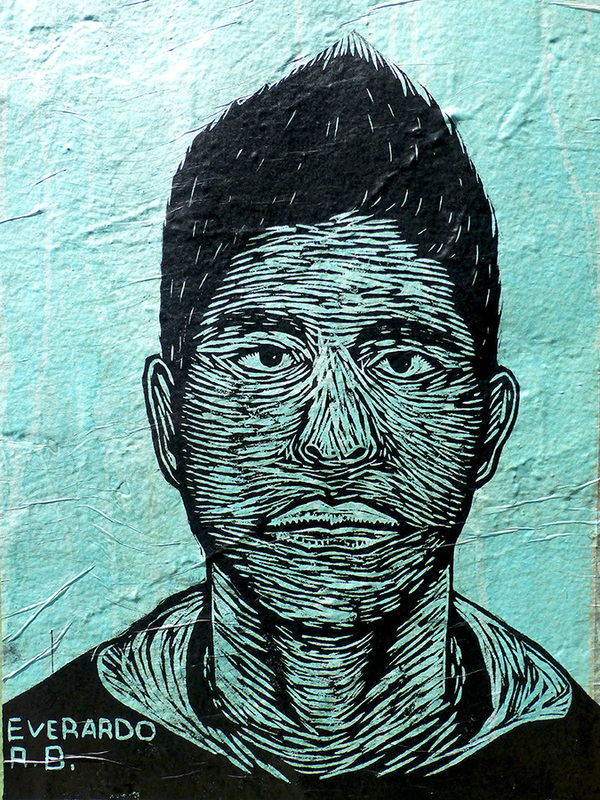 Cristian Tomás Colón Garnica of Tlacolula de Matamoros, Oaxaca; his 42 fellow students; 215 other Oaxaqueños, and 26,000+ other Mexicans missing since 2006, are not forgotten by their families, their friends, the people of Mexico, and the world. We don’t have weapons sir! Why are you aiming at us? 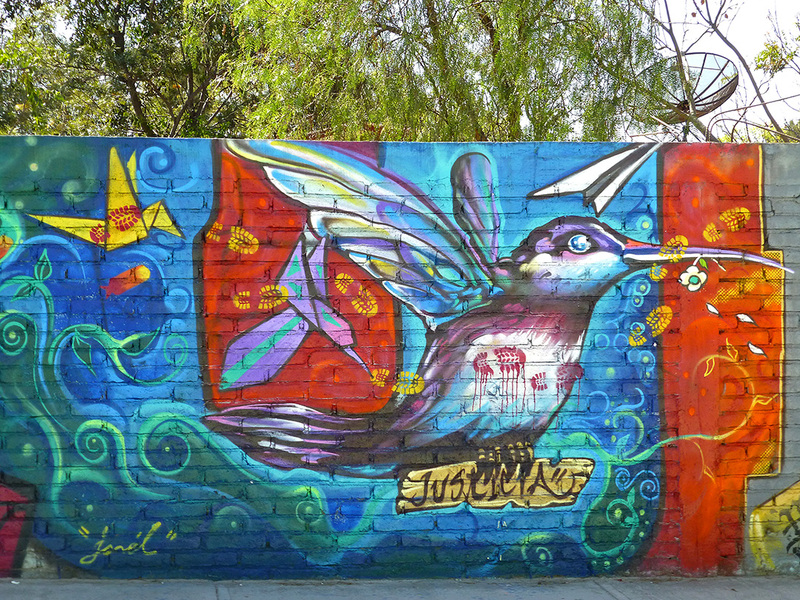 — from the above video, narrated (in English) by Lila Downs. 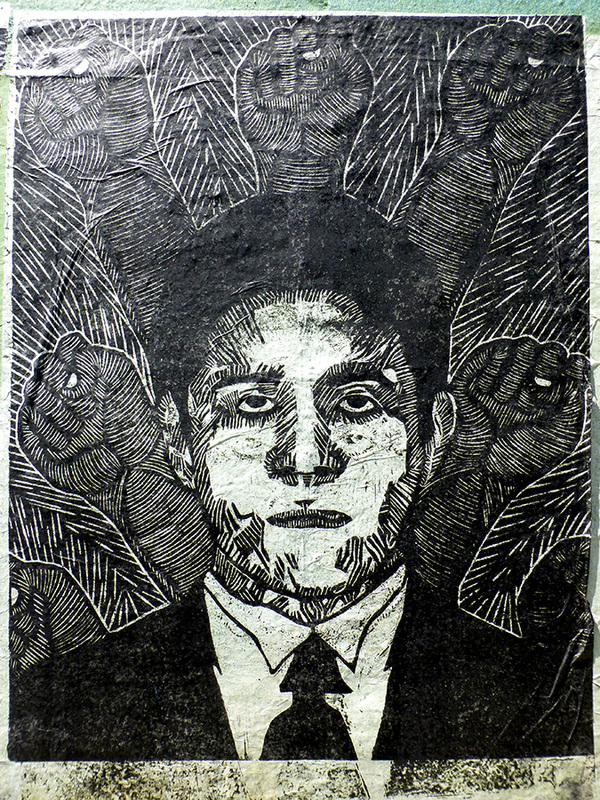 It’s been ten months since that unspeakable night 43 students from the Escuela Normal Rural Raúl Isidro Burgos teachers’ college in Ayotzinapa, Guerrero went missing in Iguala. They are not forgotten. 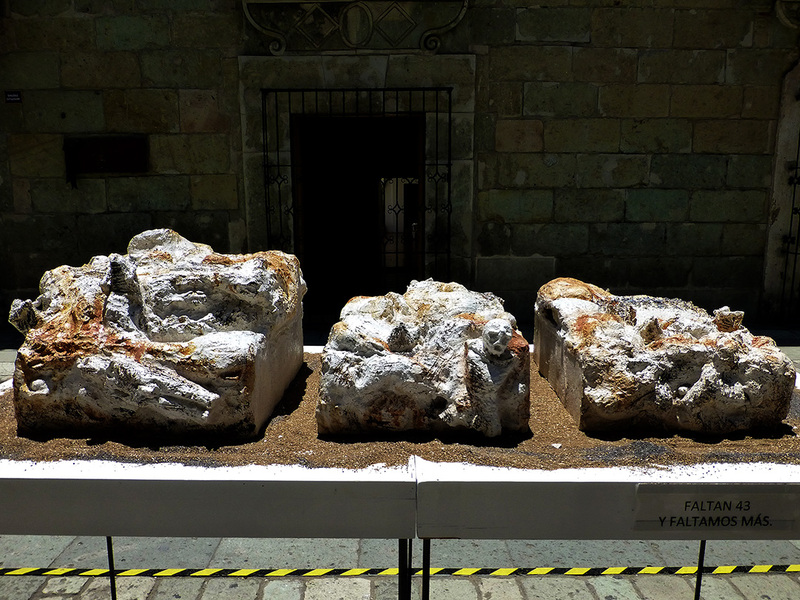 On the lower block of the Alcalá, an exhibition of sculptures by two Oaxaqueño sculptures, Victor Robinson and Emmanuel Guzman Sanchez is on display. 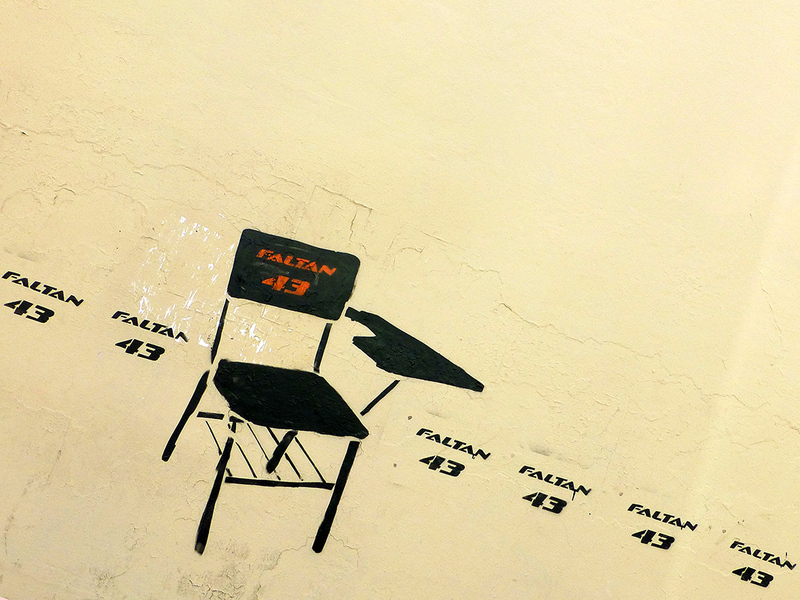 One of the pieces, Faltan 43 y Faltamos Más (43 missing and we are missing more) speaks to the 43 students and to the countless others who have disappeared. Three other students and three bystanders were killed outright and two dozen people were taken to hospital that horrific night. Today’s CNN Mexico profiles one of the hospitalized students, Aldo Gutiérrez Solano, who remains in a coma. The family must travel seven to eight hours to go from their home in Tultepec, Guerrero to Mexico City to sit at Aldo’s bedside. 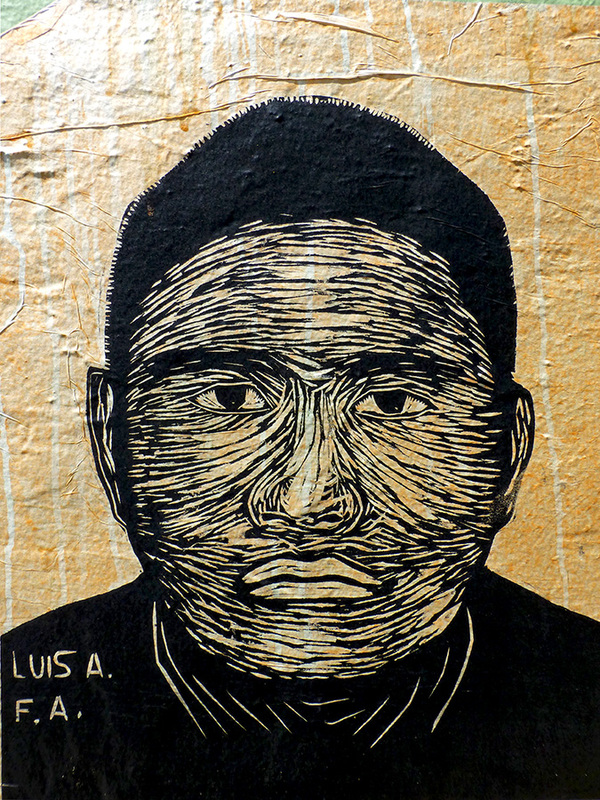 According to his brother, Ulises, the bullet damaged 65% of his brain and “The prognosis is very bad. 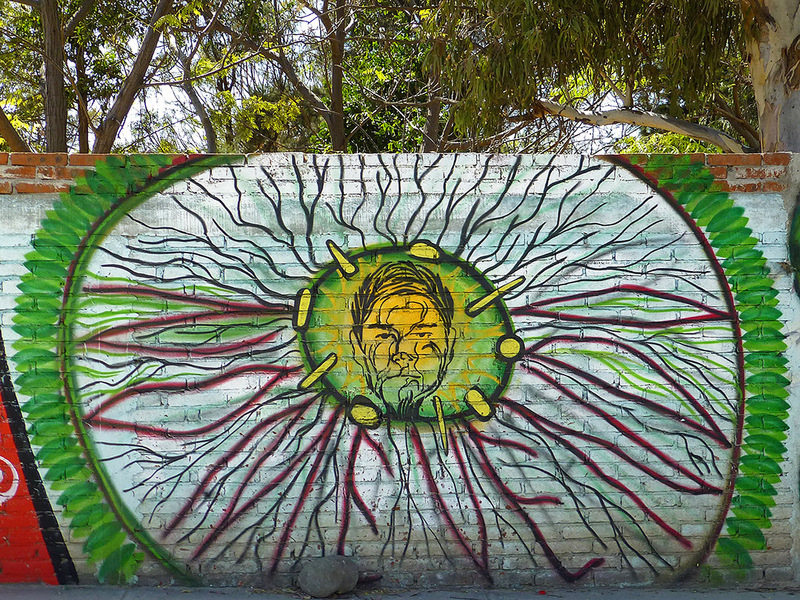 Still in that state, is not yet known what will happen, how it will be.” His family hopes for a miracle and that he will awaken to end the nightmare of Iguala. 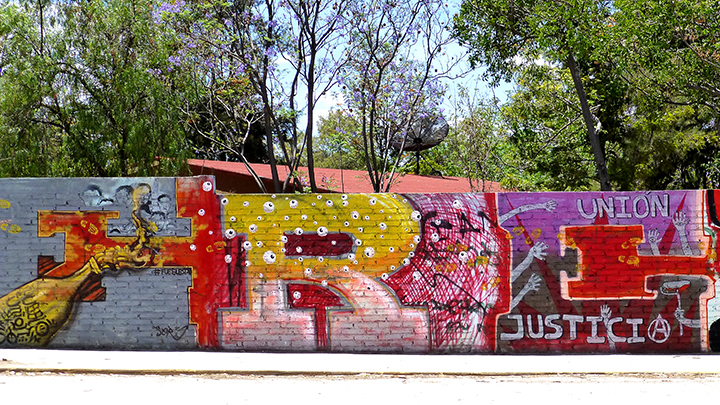 It’s been nine months since 43 students from the Escuela Normal Rural Raúl Isidro Burgos teachers’ college in Ayotzinapa, Guerrero went missing — a traumatic, heartbreaking, and disgraceful anniversary that isn’t going unnoticed. 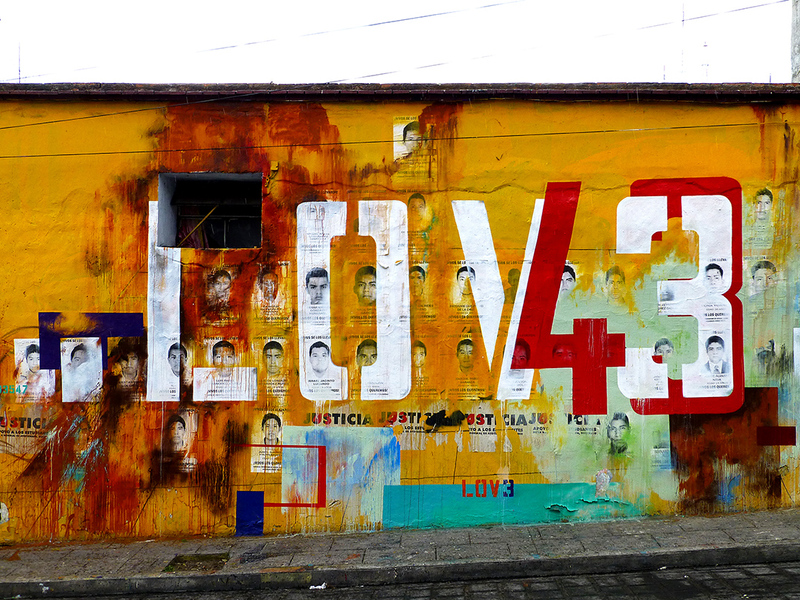 The Missing Mexican Students Case Is Not Closed For 43 Families, nor for the people of Mexico. 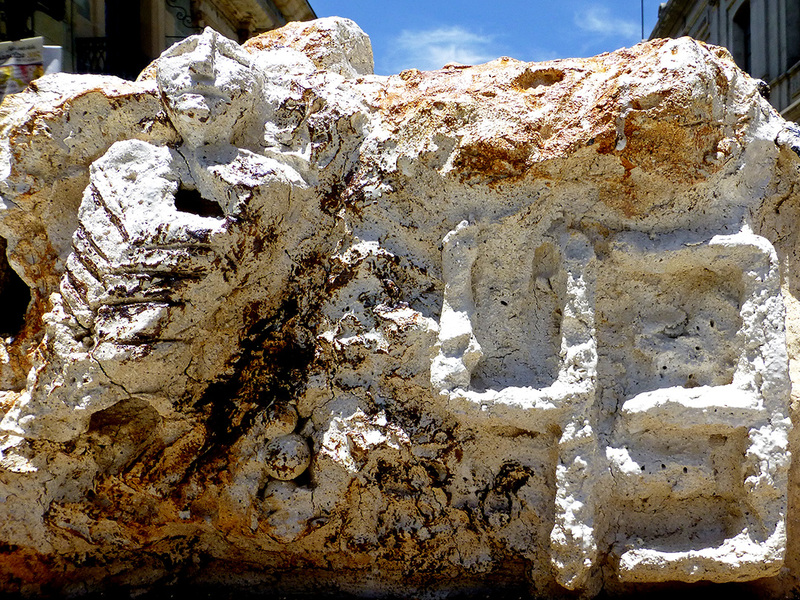 Yesterday, in Tlacolula de Matamoros, the signs were impossible to miss, as we walked down the main street. 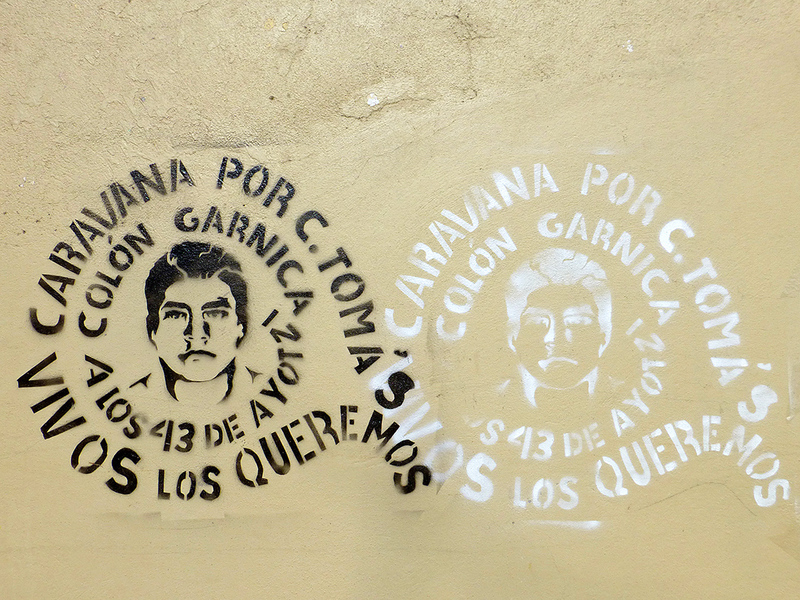 The community continues to remember her son, Cristian Tomás Colón Garnica, one of the Ayotzinapa 43. “His father traveled from their land when the abduction of the 43 young normal school students was first reported. ‘I am a day laborer. 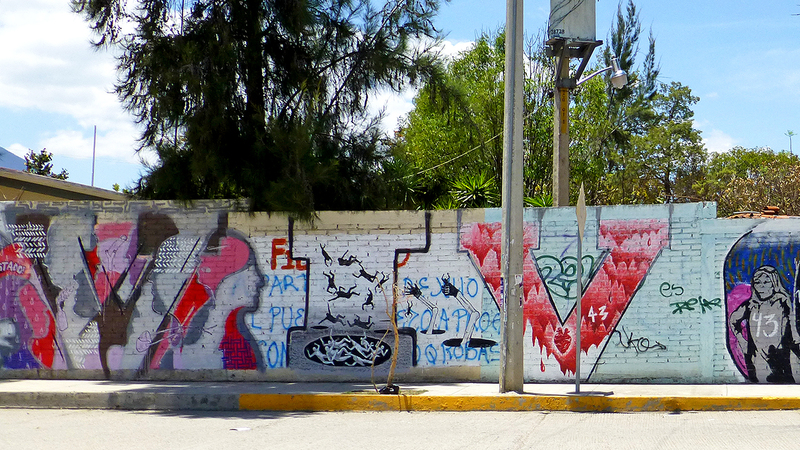 I make 600 pesos [USD$44.50] weekly, maximum, and that’s when there’s work, because sometimes there is no work. My boy wants to be a teacher. That is the job he wants, but they stopped him, they arrested him … What are we going to do?! 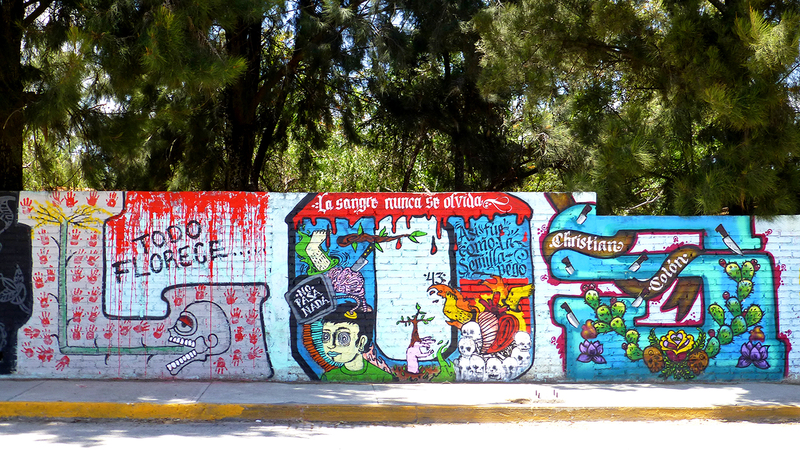 '” — from Mexico Voices. 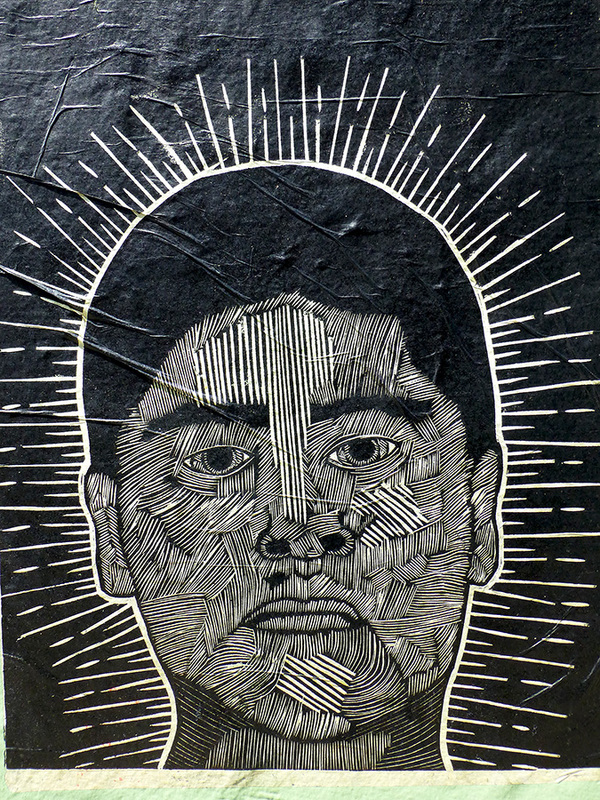 Eight months and counting… Tonight, eight months ago, 43 students from the Escuela Normal Rural Raúl Isidro Burgos teachers’ college in Ayotzinapa, Guerrero went missing. I am sadly resigned that marking this horrific anniversary has become a regular feature on my blog. 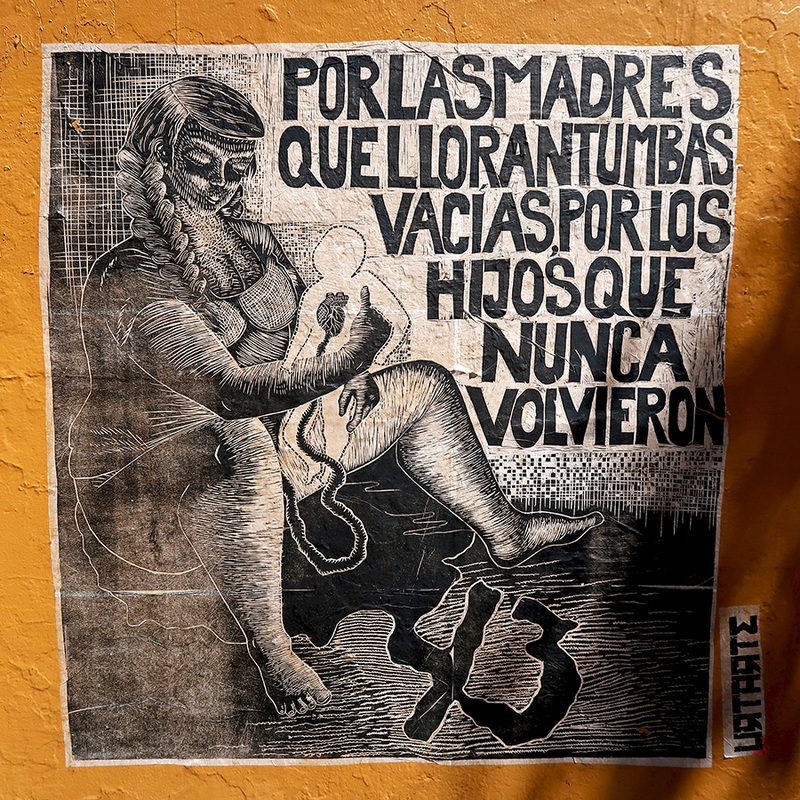 As a mother, a guest resident of Mexico, and someone who believes that the peoples of the world deserve social justice, I can’t ignore this tragedy. 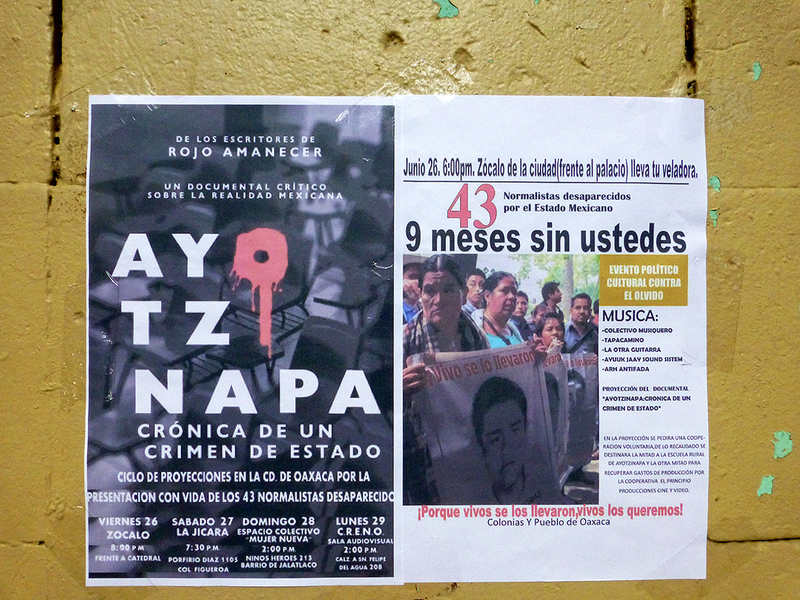 I dare you to leave Carteles por Ayotzinapa, the current exhibition at Instituto de Artes Gráficas de Oaxaca (IAGO), with a dry eye. 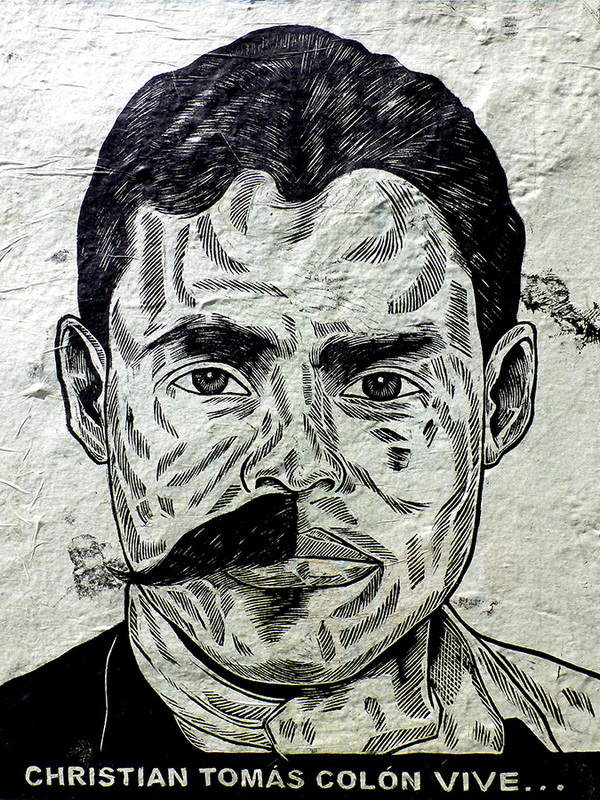 The 49 posters on display are only a fraction of the over 700 posters submitted to the First International Poster Biennial 2014 Convocation Ayotzinapa, an initiative of Oaxaca’s internationally renown artist, Francisco Toledo. 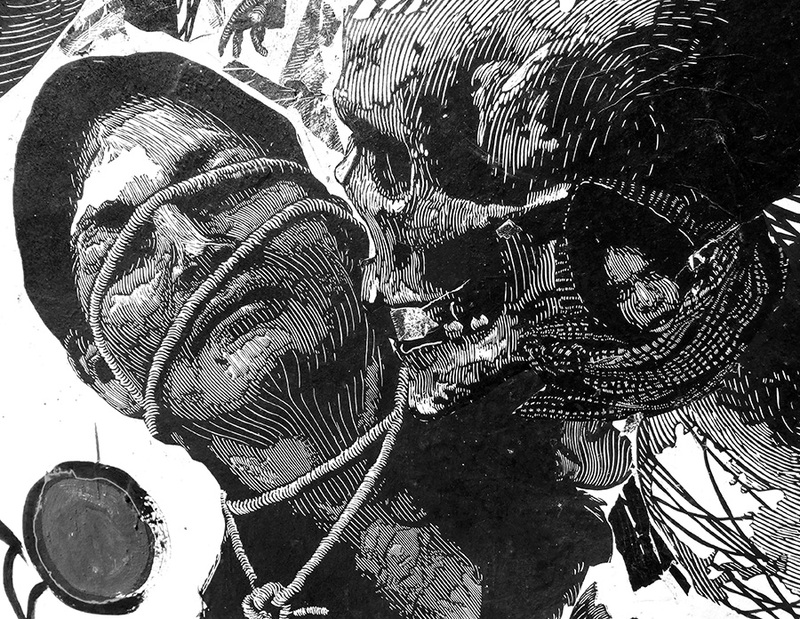 In addition to Mexico, artists from Argentina to Greece; Iran to Lebanon; and Poland to the USA responded to his call, recognizing as Toledo explained, the tragedy of Ayotzinapa has outraged people from beyond the borders of Mexico. Second place was won by Damian Kłaczkiewicz (Poland) and third place went to Daniela Diaz (Mexico). 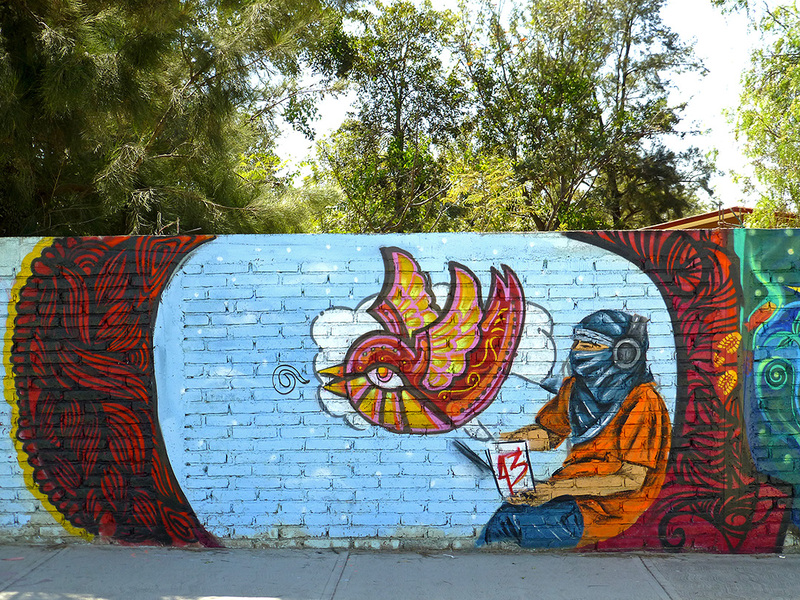 The three winning posters will be reproduced for distribution throughout Mexico. 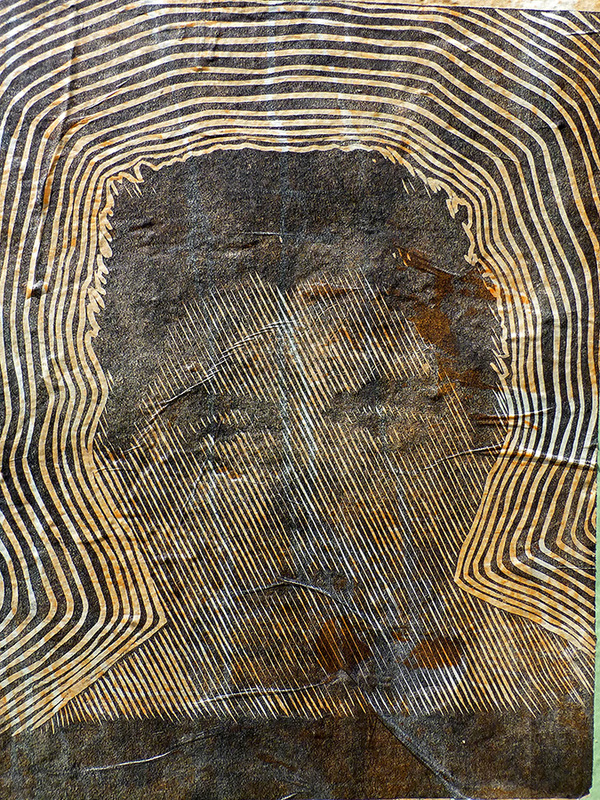 The exhibition runs through June 26, 2015. 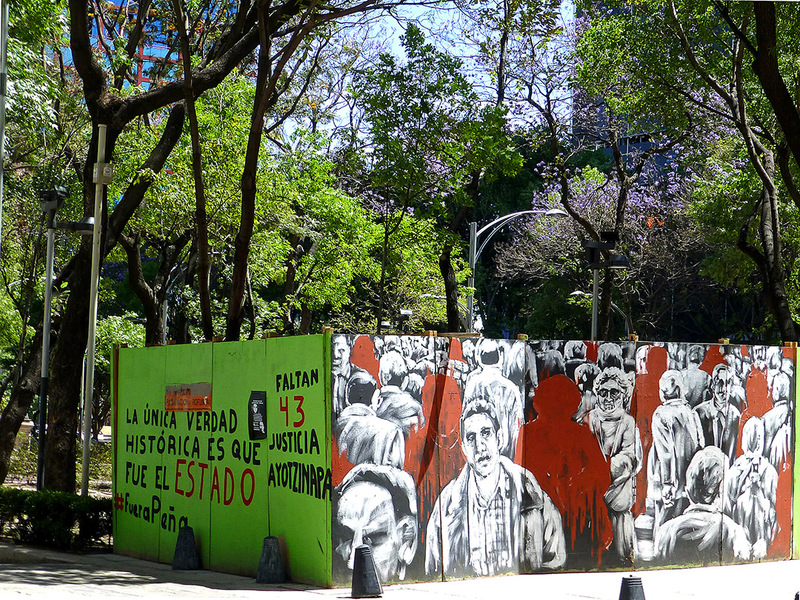 Today a more urgent anniversary requires our attention: Mexico Marks 7 Months Since 43 Ayotzinapa Students Disappeared. 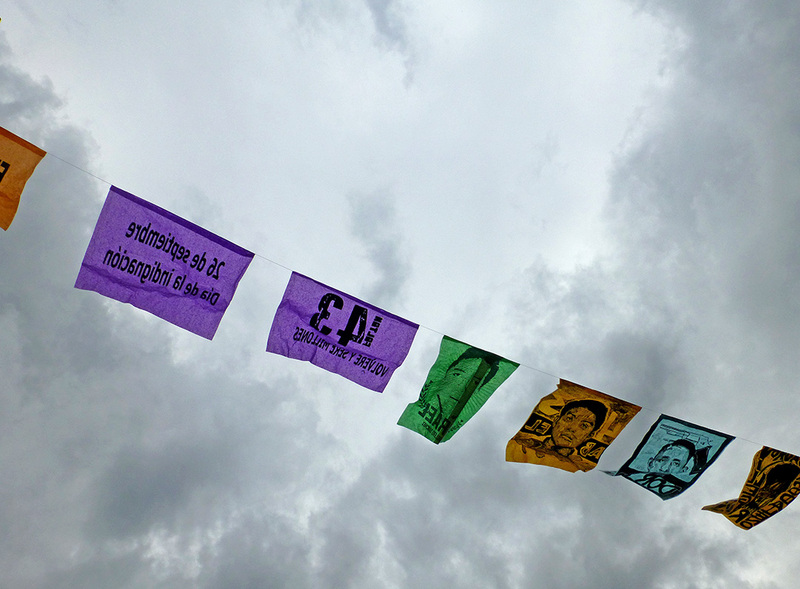 Family, fellow classmates, friends, and supporters around the world keep their names alive and cry for justice. And artists continue to reach into our minds and hearts through their music, artwork, and film making. 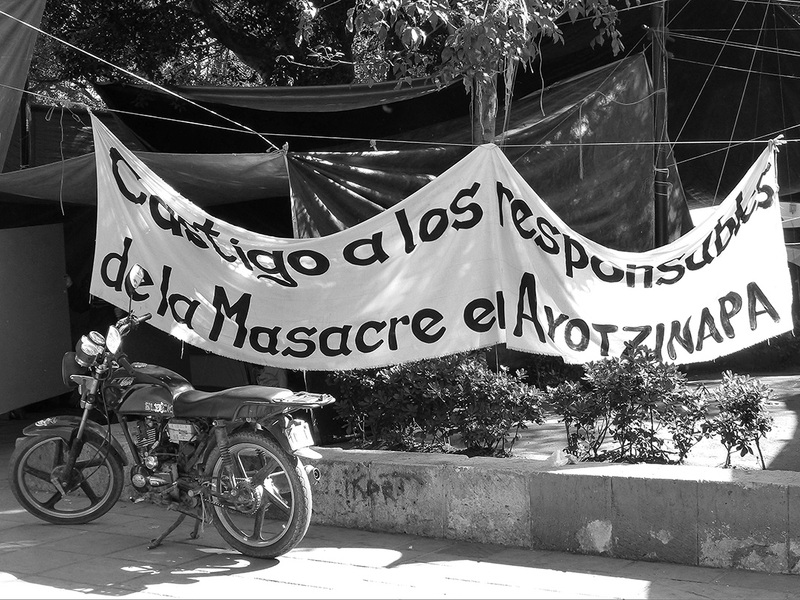 In the documentary, Ayotzinapa’s 43 Disappeared: Family & Friends Remember, we hear the voices of their classmates and relatives. They don’t trust the official story and are determined to find out what happened. 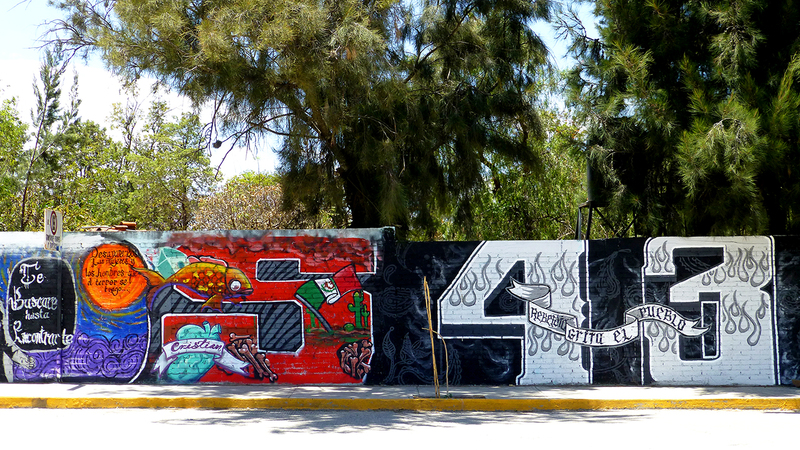 And, on walls throughout Mexico, our attention is called to the missing 43 students from the Escuela Normal Rural Raúl Isidro Burgos, teachers’ college in Ayotzinapa, Guerrero. 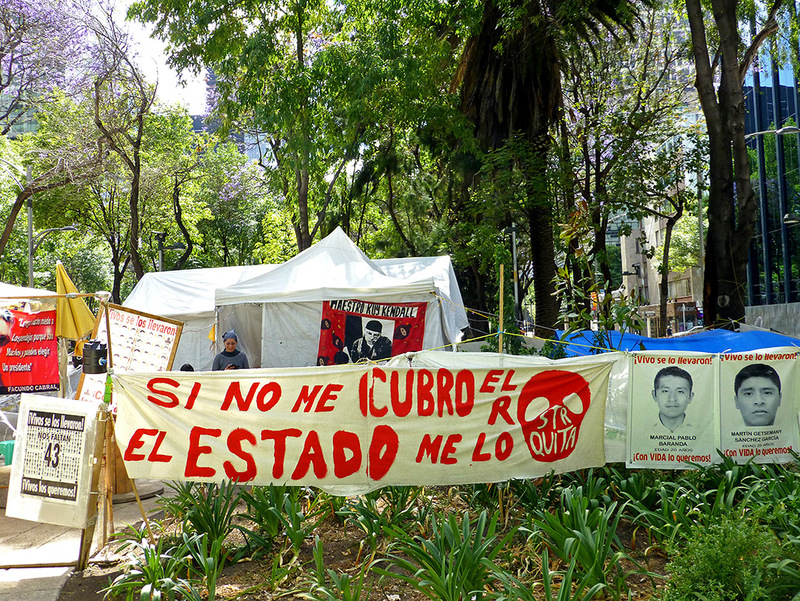 It’s been five months since 43 students from the Escuela Normal Rural Raúl Isidro Burgos teachers’ college in Ayotzinapa, Guerrero went missing. 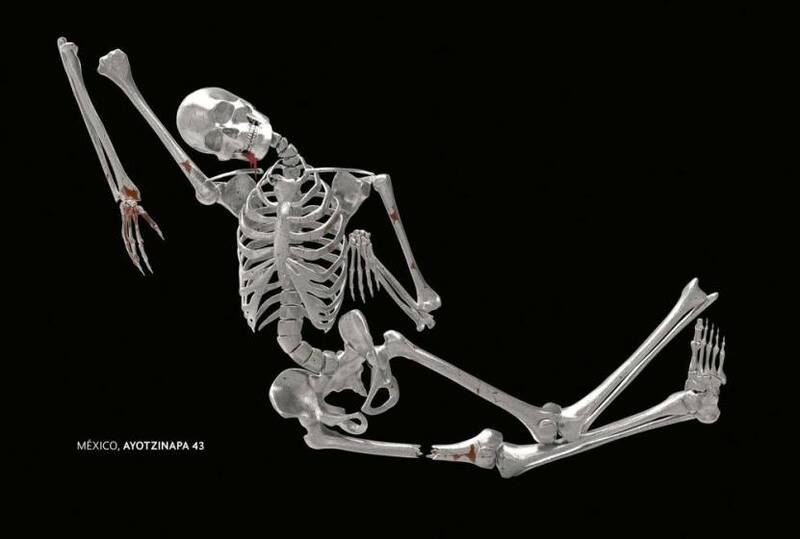 Their parents, the people of Mexico, and growing numbers around the world continue to ask, Who is Really Responsible? 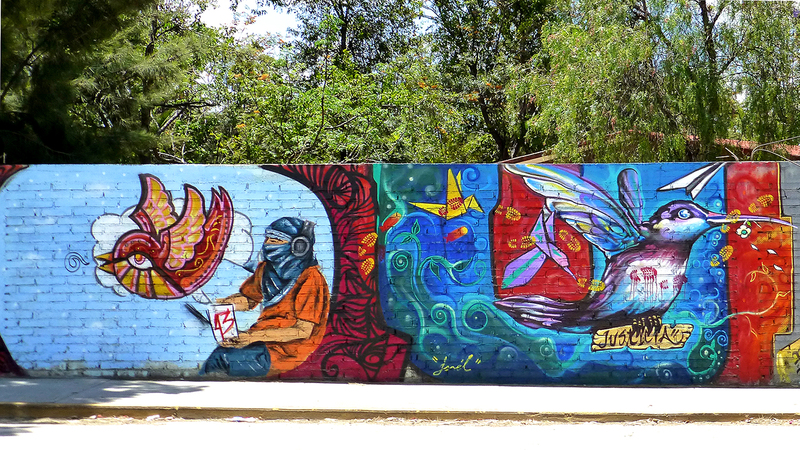 A mural recently appeared along a very long wall at the entrance to Tlacolula de Matamoros. 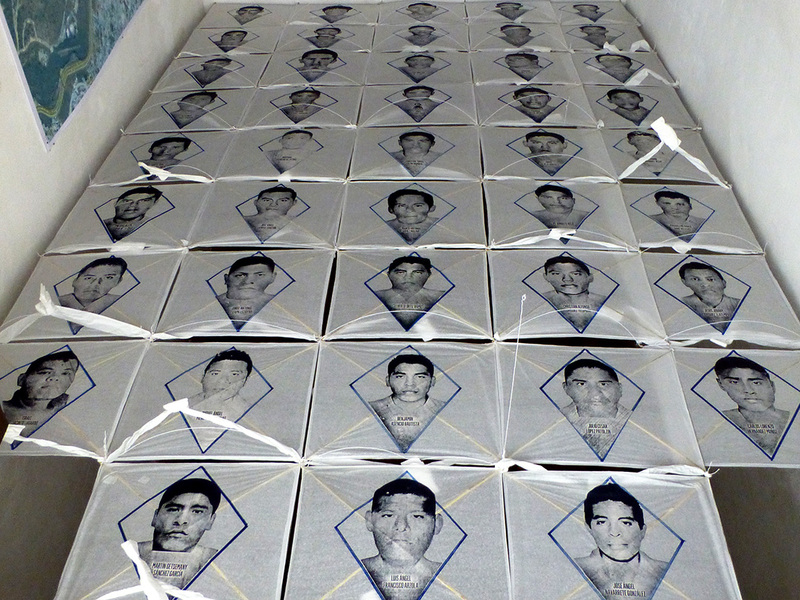 As I’ve previously mentioned, one of missing is Cristian Tomás Colón Garnica from Tlacolula de Matamoros. 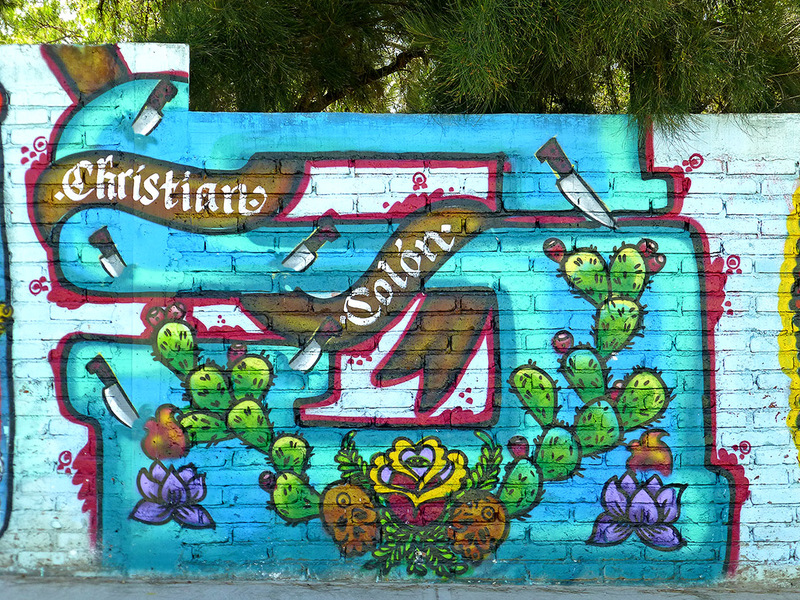 I realized, as I was processing the photos, each panel of the mural incorporates a letter. 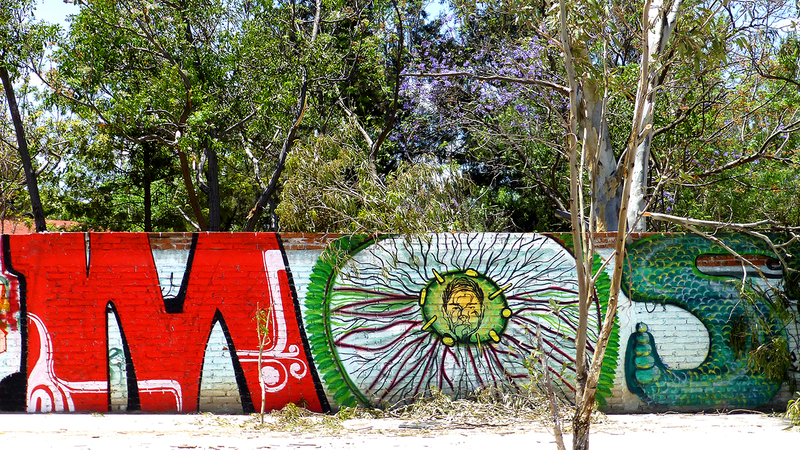 One has to stand back (in the street) to see words materialize. 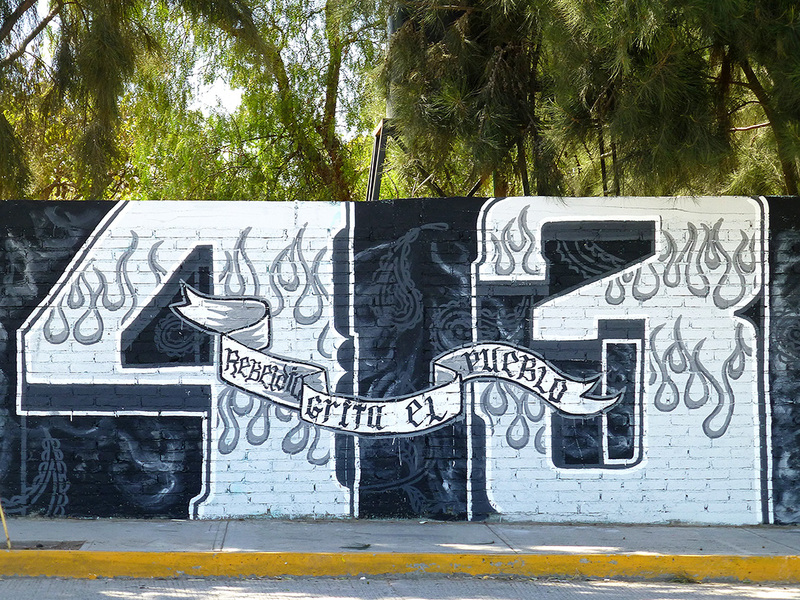 However, when we went back to Tlacolula on Sunday, there were cars and trucks parked in front of most of the mural and all we could see was, “Vivos 43.” I would love to hear from you, if you know the full text. Tears welled up as I watched the march go by.